Biman currently has four Boeing 737-800 in its 14 strong fleet. 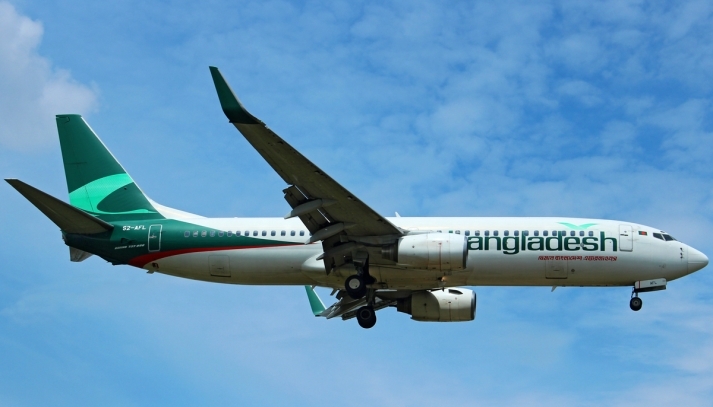 Biman Bangladesh Airlines' move to include two 737-800 aircraft to its fleet is expected to see success soon as it has received a 'good response' in this regard and will sit for evaluating the response on Saturday next. "The response is good, and we'll sit on Saturday," a member of the evaluation committee said, UNB reports. He, however, declined to disclose the number of the proposals and their origin. The official said after evaluation the airliner will shortlist the proposals and invite them to start the negotiation. Then the committee will visit the aircraft and take the final decision. Set to phase out two decade-old aircraft, Biman Bangladesh Airlines had decided to add to two more aircraft to its fleet for 60 months to tackle any immediate problem in its flight operation. July 25 was the last date of submitting proposals. "We'll take two 737-800 aircraft on dry lease as the airliner has decided to phase out its two airbus aircraft after September this year," a senior official at Biman said. The national flag carrier has, meanwhile, scrapped its previous move to induct two 777-200 or 777-200ER and one 777-300ER or one 737-800 along with one 777-300ER in its fleet under dry lease (only aircraft) system for sixty months. "We're thinking of resuming and introducing some new regional routes in the coming days, and that's why we are choosing the mid-haul aircraft," the Biman official said. Biman is currently operating flights on seven domestic and 15 international routes of the Middle East, Europe and Asia. It has four Boeing 777-300 ERs, two Boeing 777-200 ERs, two Airbus A310-300s, four Boeing 737-800s and two Dash-8 in its fleet.